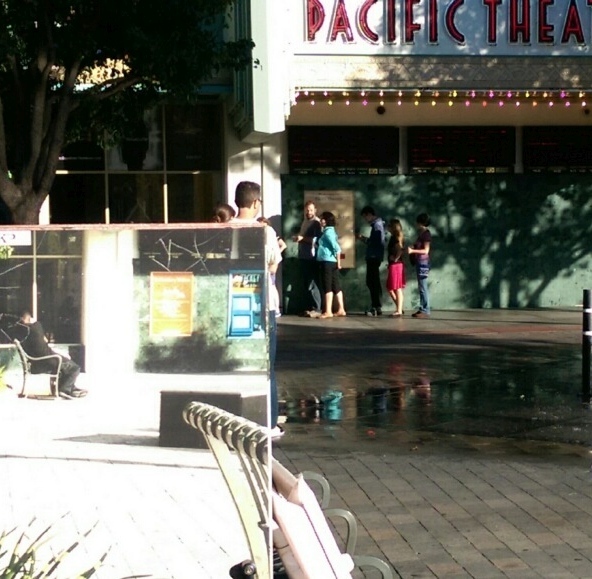 Players hide in plain sight — see the line at the theater? 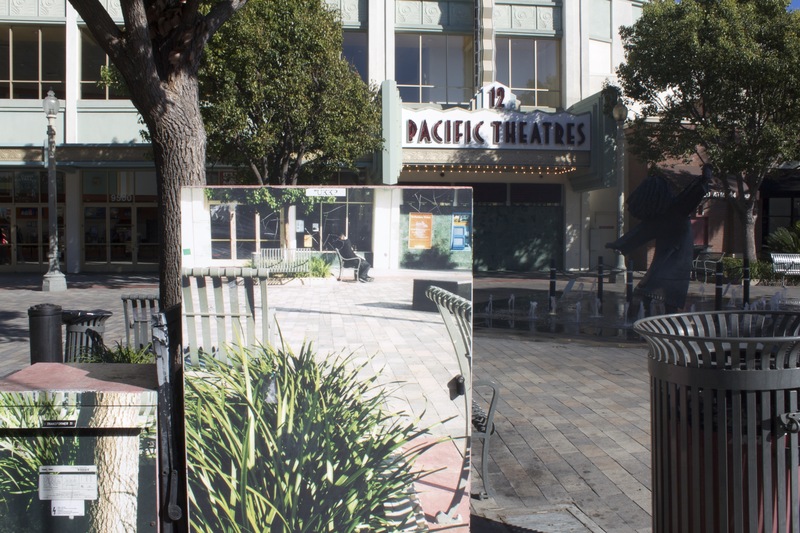 Artist Joshua Callaghan installed landscape prints on Town Plaza’s utility boxes in 2004, conceiving them as a continuation of Culver City’s urban fabric. 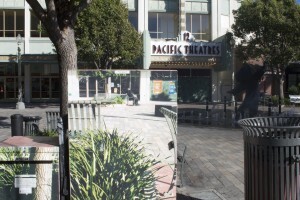 This optical illusion is meant to make the viewer an active participant in the art installation (CulverCity.org, n.d.). Did you know there are actually nine of these vinyl-wrapped utility boxes in and around Town Plaza? 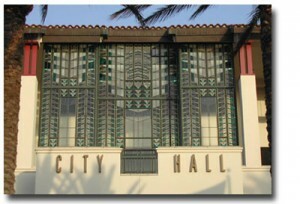 Culver City Hall. Photo by François Bar. This location revolved around the Panoramic and Quotation Courtyard at City Hall. This installation was completed in 1995 with the opening of the new City Hall. 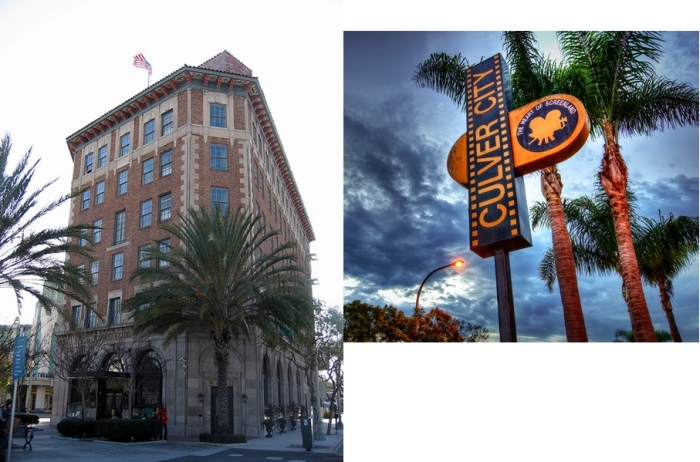 The opening of the new city hall coincides with a rejuvenation of Culver City in the early 1990s. Sony Pictures had recently established their studio in Culver after many of the classic studios, such as MGM and RKO had left by the 1970s. 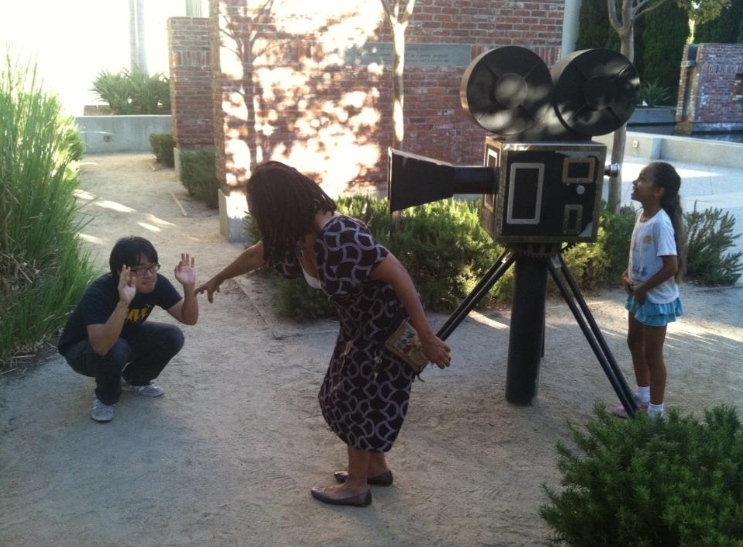 The 1990s in Culver also showed an increasing presence of the arts; which is reflected in the Courtyard and other public art works that the city commissioned. 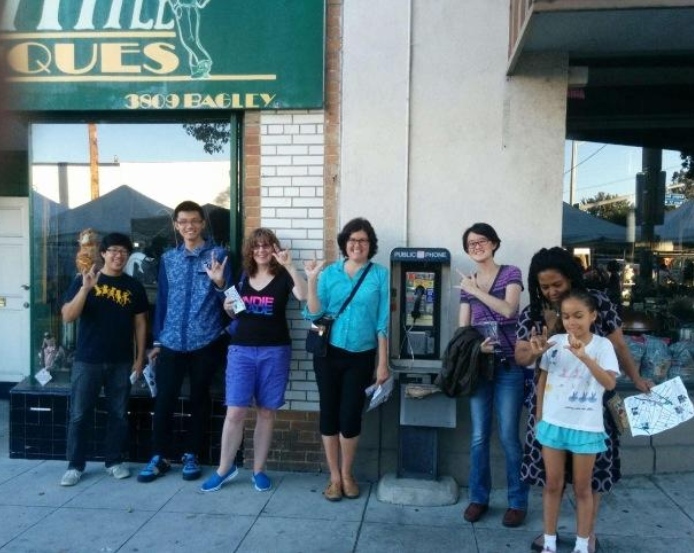 The Venice Payphone is right near the Museum of Jurassic Technology. Discover the history of Venice Blvd as an artery for LA, and stop by one of the strangest museums in the country. 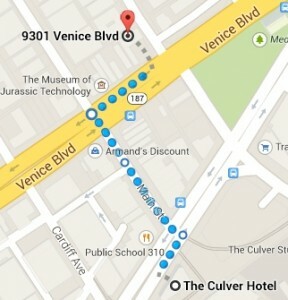 Directions: Meet at 9301 Venice Blvd, 90232 (just off Canfield St). 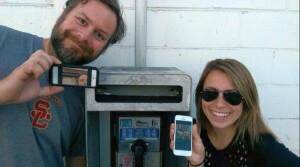 You can’t miss the payphone! For the strange museum itself, start by reading their introduction and background. 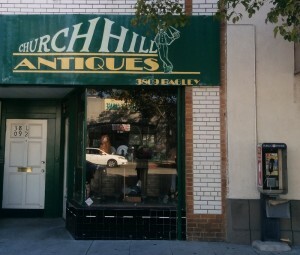 On what the Guinness Book calls “World Smallest Main Street”, next to Church Hill Antiques, sits one of the few remaining working PayPhones in Culver City. 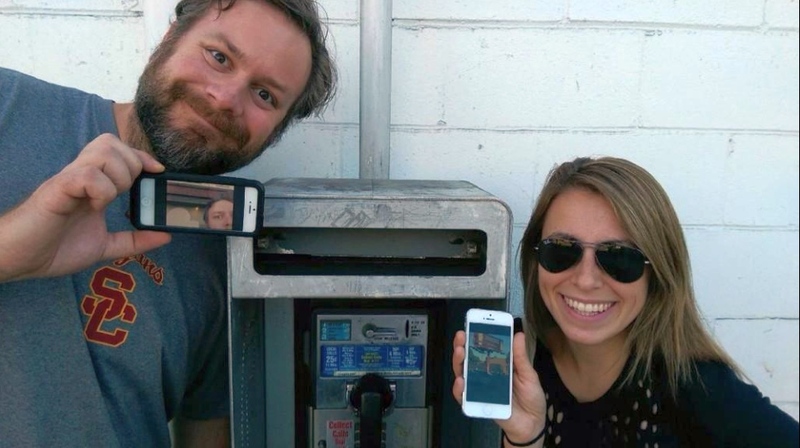 When was the last time you used payphone?… Here is your chance to try out this retro technology. Don’t forget to bring some change.